Scores are sent to the included database (no setup required). 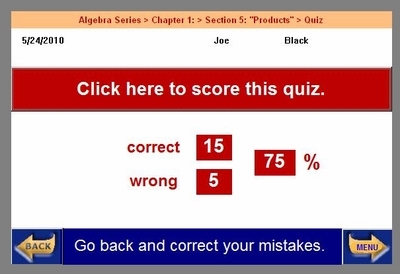 Students may return to the questions to find their mistakes. Subsequent scores are also recorded with date and time.